Scope reduction often implies work and cost reduction. So, you want to reduce your PCI scope? Perhaps you’re looking to reduce workload. Or maybe you’re just ready for your PCI costs to decrease. Let me take you through the process of reducing your scope. 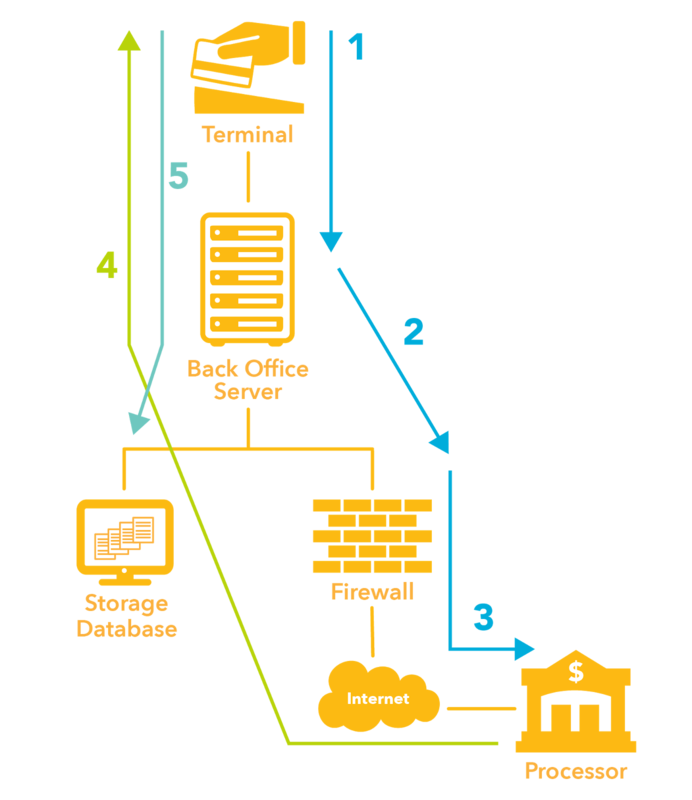 A cardholder data environment is comprised of people, processes, and technologies that store, process, or transmit cardholder data or sensitive authentication. The bottom line is: if the people/process/technology/component stores processes or transmits cardholder data, or is connected to systems that do, it’s considered in scope. Think of your whole environment as a black box. Right now, don’t think about what’s in the box. Instead, think only of the inflows and outflows of cardholder data into and out of the box. 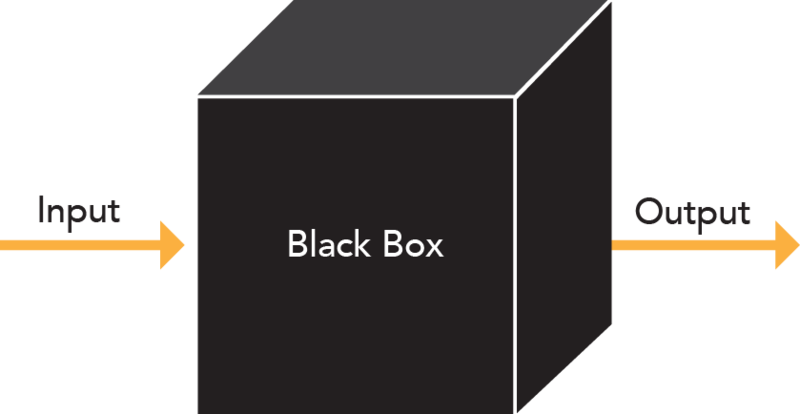 Now that you understand what happens around the black box, what happens inside? Is your website hosted at your location or through a third party? Does your system batch at the end of the day? Does card data go into a storage database? Take a good look at your systems where the flows actually touch, and anything connected to those systems. This will help you understand which systems are in scope for PCI. The latest version of the PCI DSS (PCI 3.1) Requirement 1.1.3 requires merchants to have a current cardholder data flow diagram. Once you know your flows and know what systems they interact with, you can easily create a card flow diagram of how card data moves within your environment. Note that a card flow diagram is required for each data flow in your organization. Examine the actual network and decide how it fits into your card flow diagram. How is your network constructed? 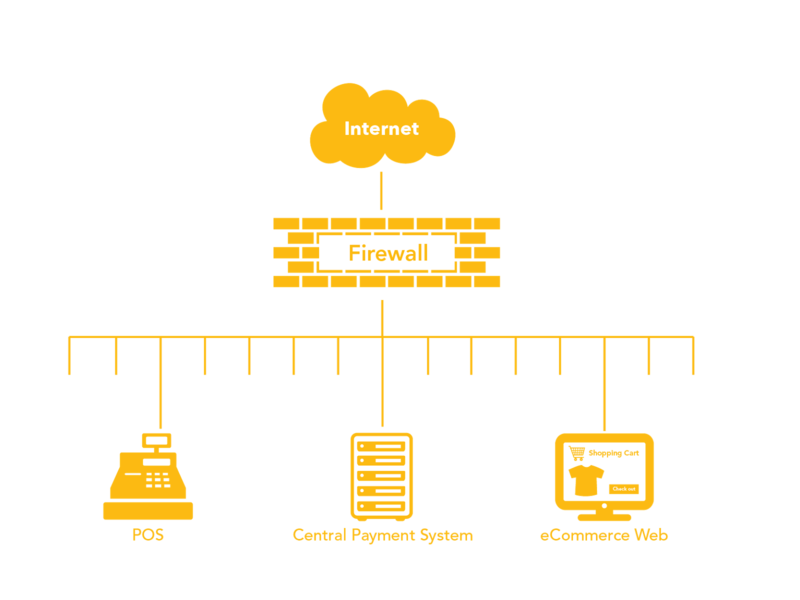 Is there one firewall at the edge of your card processing environment? 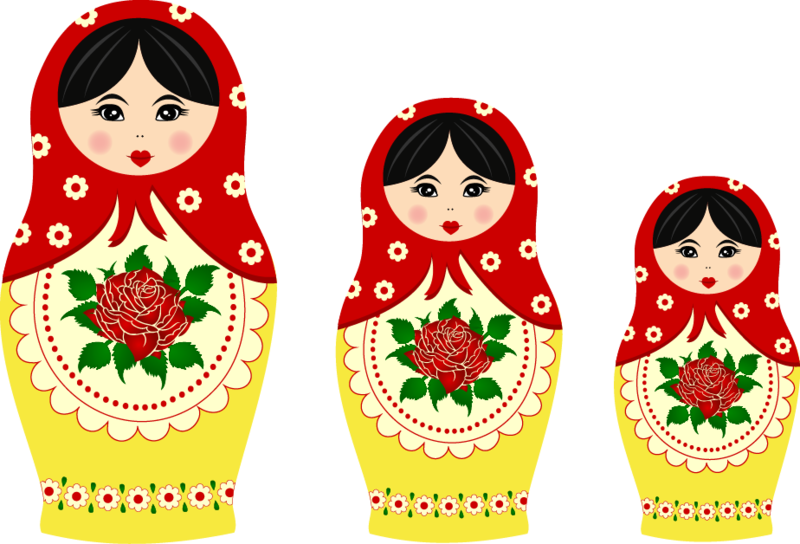 Is your network segmented internally? Does your environment have a multi-interface firewall? Do you have multiple firewalls? For this part of the scope reduction process, you must understand the actual components that make up your network. Only then can you can overlay the card flows onto the systems in the network environment, and diagram and understand which systems store, process, or transmit cardholder data. Those will be the ones in scope for PCI. If you electronically store the Primary Account Number on credit cards (also known as PAN), you automatically qualify for a PCI SAQ D. SAQ D has 335 requirements. Storing PANs is the #1 thing that increases your scope, and the problem is, many merchants don’t know they store unencrypted PANs. In the latest study by SecurityMetrics, 61% of merchants were found to store unencrypted PANs. Let me give you an example of unknown card data storage. Finance often receives bank statements with full cardholder numbers. Do you have a refund process? Sometimes the finance team will get a notification of a disputed transaction via email and because they have data retention requirements, they’ll print that information and keep it on file. The point is, as you are defining your environment, it’s important to ask all organizations and departments if they receive cardholder information, and define exactly what that means to your card flows. To avoid being in the dark about your own PAN storage, make sure you ask your vendor exactly how your POS system works. Does it store cardholder data? Does it write cardholder data to a database and keep a transaction record for 30 days to easily process refunds? In addition, I always ask my clients to run a cardholder data discovery tool (I recommend PANscan). These tools help you find PANs, processes, and flows you didn’t know existed. Once you identify new processes, you can begin to determine what you can do to either fix the process, or add it into your normal environment processes. If you don’t need PAN, don’t store it! Those that store PAN qualify for SAQ D, which has a whopping 335 requirements. Qualifying for an SAQ D definitely DOESN’T reduce your scope. I know you might think storing PAN makes life easier. Perhaps you process a lot of refunds. Perhaps you store credit cards for recurring customers. That seems like a good decision at first, because it increases sales by making it easier for your customer. The downside is, you’re electronically storing PAN. Bottom line is: If you don’t have a compelling business need to store PAN, don’t store it! PCI 3.0 recently clarified that there are secondary systems in scope for PCI (such as log servers) and some that reside outside of the typical card data environment (such as DNS.) 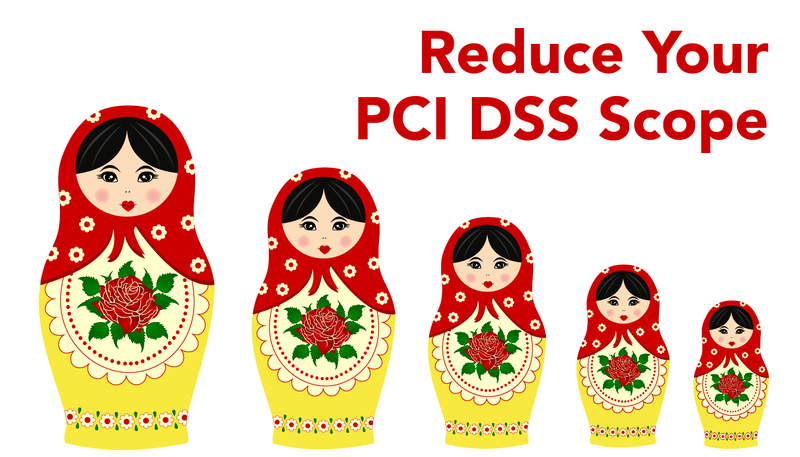 Keep these, and other PCI 3.0 changes in mind as you reduce your scope and comply with PCI DSS. When correctly arranged, outsourcing is a great way to reduce your scope. Could service providers take on some of your more daunting PCI requirements, such as firewall management, log collection/monitoring, or systems hosting? If you don’t have to hire personnel to manage outsourced devices, you can free up internal resources. Another option for scope reduction is point-to-point encryption, or P2PE. In a nutshell, if you properly implement a P2PE validation solution, and have no access to unencrypted data or encryption keys, you may qualify for a P2PE SAQ, with only 35 questions. Tokenization completely replaces the PAN in your environment so you can store tokens in your database. Just make sure that if you implement tokenization, you’re still not storing the PAN, or storing old caches of PAN in your environment. Make sure you run data discovery tools to find all PAN caches so you can replace them with a token. Anytime PAN is removed from an environment, risk is reduced. Network segmentation is one of the best ways to reduce the systems that store, process, or transmit card data (in turn, reducing your scope). Network segmentation is a method of separating systems that store, process, or transmit cardholder data from those that don’t. Oftentimes when interacting with customer networks, we find merchants have big flat networks with a firewall at the edge, but that’s it. Everything inside the network can talk to everything else. Flat networks make securing your card data extremely difficult because your entire network is in scope for PCI. Each system has the ability to talk to every other system. Here’s a great example of network segmentation via a firewall. Say you install and configure a multi-interface firewall at the edge of your network. From there, you create one interface on the firewall dedicated just to the systems that store/process/transmit cardholder data. If that interface doesn’t allow any other traffic into our out of any other zones, that’s proper network segmentation. A way to properly segment a network without a firewall is through an air gap. Air gaps just mean having truly separate network environments for card data environments. Specifically, the actual network equipment that runs the card data environment is totally separate from your office environment. Know your inflows and outflows. Until you know your flows, you don’t know what to secure. Use a card data discovery tool. This tool will helpfind the caches of card data in your environment. Once you identify them and identify the process that created the cache, decide if you really need it. Not-in-scope doesn’t require PCI. PCI requirements are good security practices but aren’t required for network segments not in scope. Decide. Is reducing scope worth it to your organization? Matt Halbleib, Principle Security Analyst at SecurityMetrics, is responsible for overseeing the activities of the company’s audit teams. 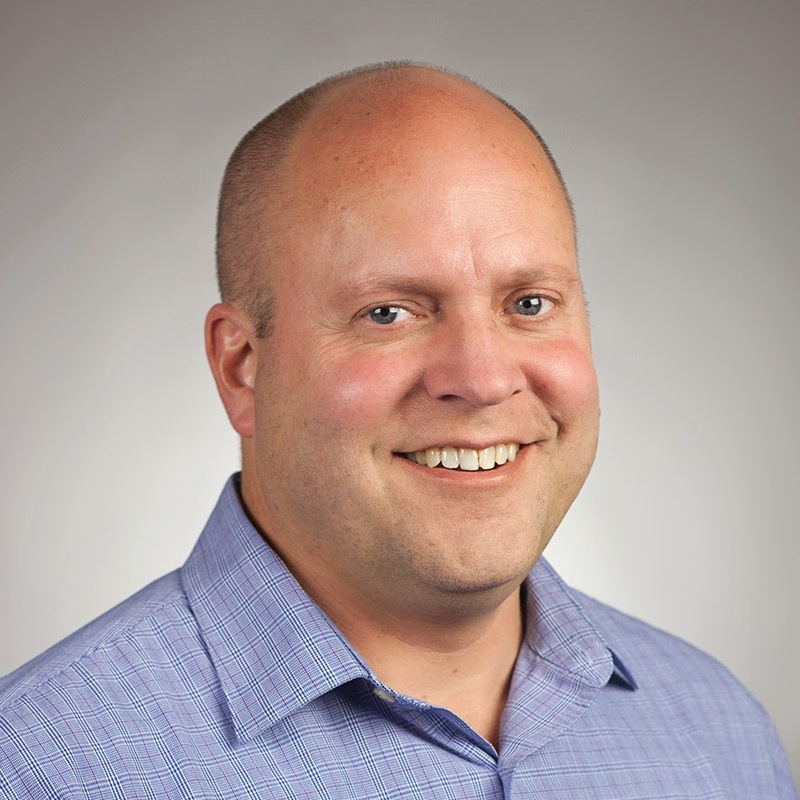 He holds QSA (Qualified Security Assessor), PA-QSA (Payment Application Qualified Security Assessor), and CISSP (Certified Information Systems Security Professional) security certifications and as a qualified assessor for the Payment Card Industry, has completed over 80 PCI DSS and PA-DSS security assessments.